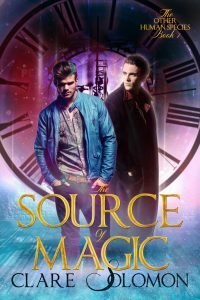 There are some amazing M/M novels that have magic as a central part of their plot and here are some of the most popular. 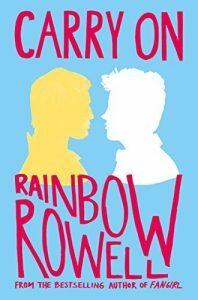 Best seller, “Carry On” by Rainbow Rowell is very much in the Harry Potter tradition, set in a wizarding school and featuring a young hero who never wanted to save the world but got stuck with it anyway. Cassandra Clare’s popular YA urban fantasy “Mortal Instruments” series includes a gay romance between minor characters while “The Bane Chronicles” gives the backstory of one of these characters: bisexual warlock, Magnus Bane. 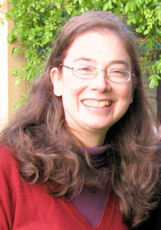 Ginn Hale’s compelling two-book series, “Lord of the White Hell“, features YA characters – although it’s aimed at an older audience – in a fantasy world academy, where one of them is suffering under a deadly curse. 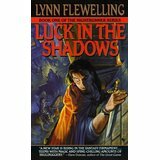 Other popular magic novels set in fantasy worlds include Lynn Flewelling’s epic “Nightrunner” series, featuring spy, Seregil, who is not what he seems, and his apprentice, Alec. 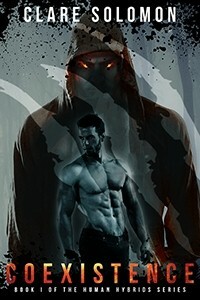 Ginn Hale’s “The Rifter” series sees the main character pulled into a fantasy world where he and his former flat-mate share a shocking destiny. “The Last Herald-Mage” trilogy by Mercedes Lackey and Jim Grimsley’s “The City Behind the Stars” books all tug at the heartstrings while T J Klune’s “Tales from Verania” series combines humour and magic. These were some of the best-selling books with a magical theme and you might also want to try my own new series. “The Other Human Species“, is a Young Adult urban fantasy where Neanderthals never went extinct and two characters who initially hate each other use their magic to fight against oppression.